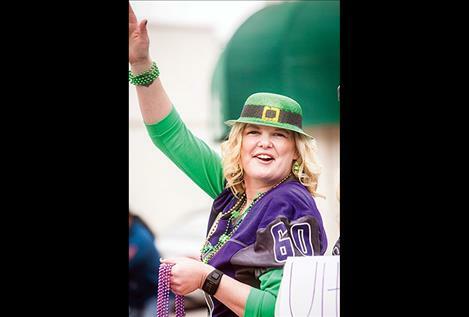 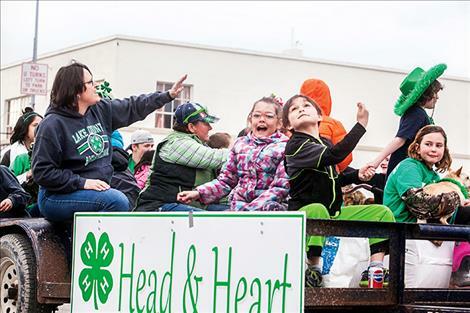 Ronan resident Carlene Bockman and her crew of enthusiastic ladies float down the parade route Saturday in Ronan. 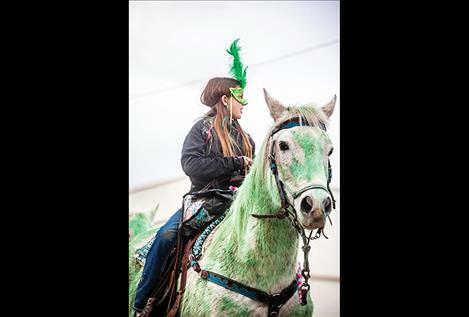 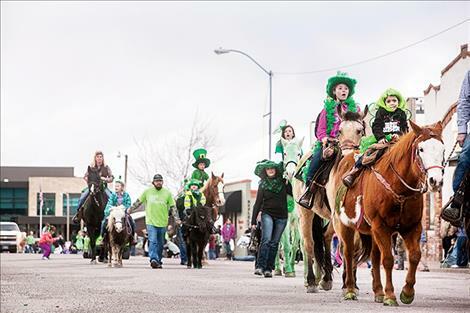 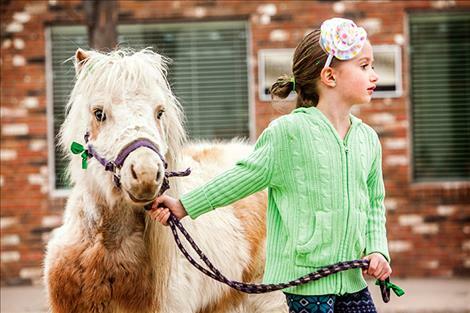 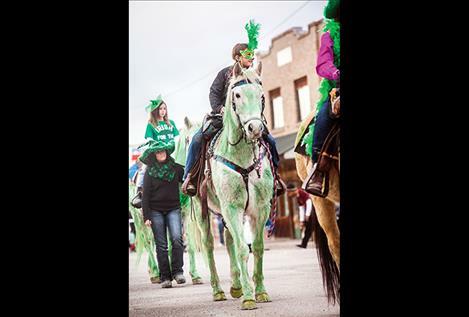 Horses and ponies, including a few green equines, join parade participants. 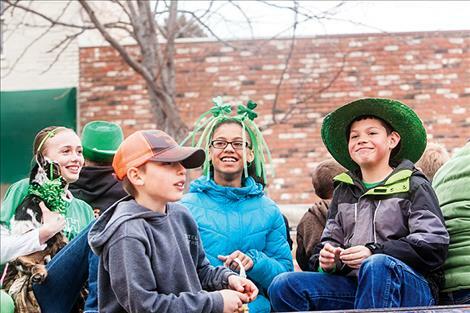 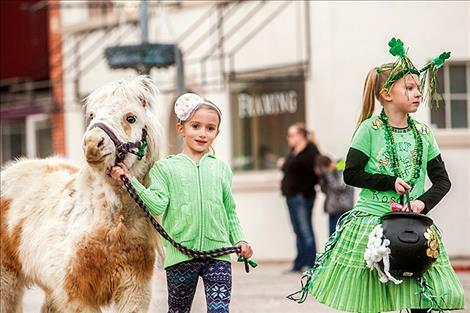 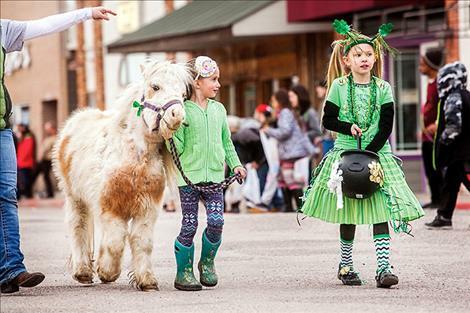 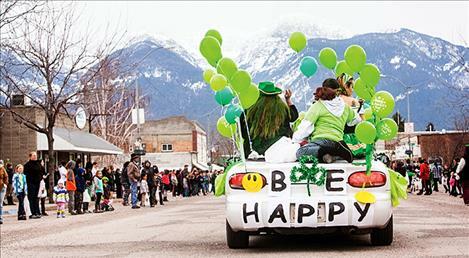 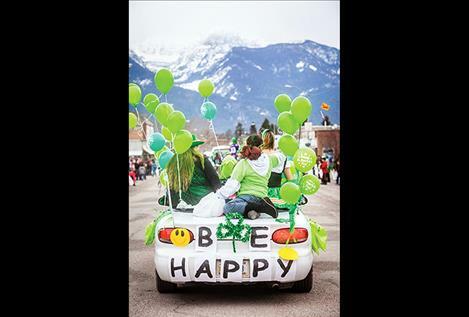 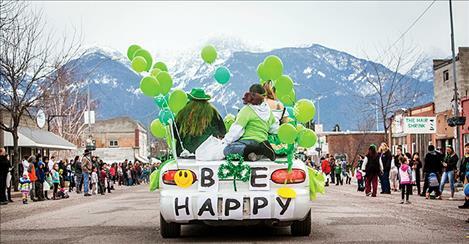 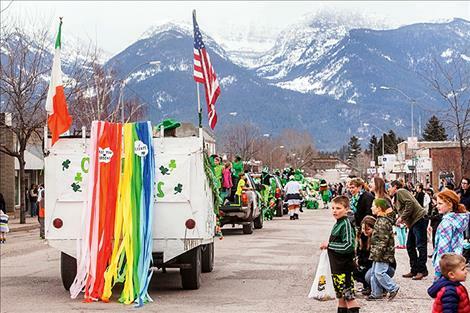 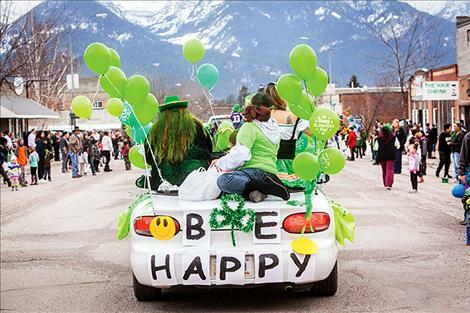 With the majestic Mission Mountains as a backdrop, children and adults line Main Street in Ronan for the annual St. Patrick's Day parade. 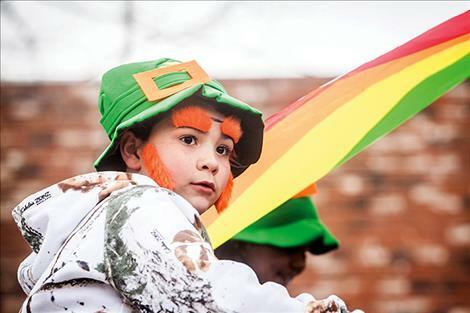 ll smiles, parade participants show their spirit with a bit o' the Irish symbols and colors. 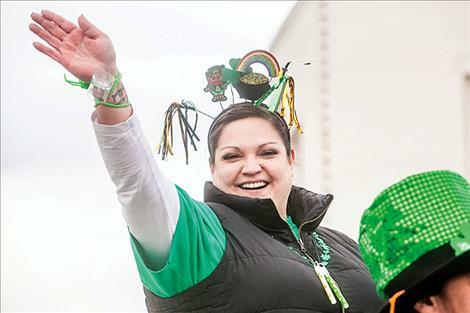 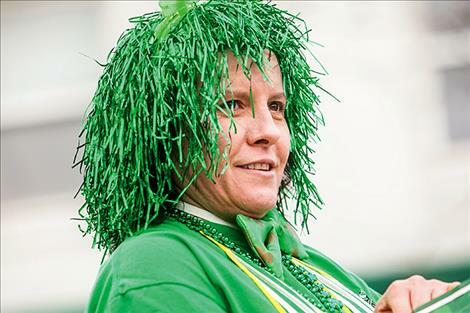 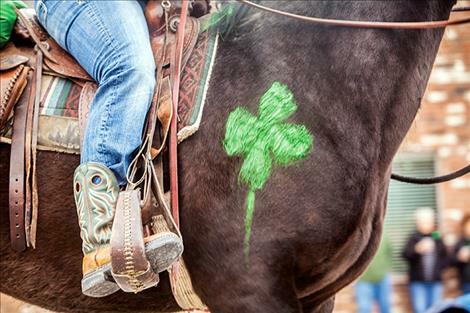 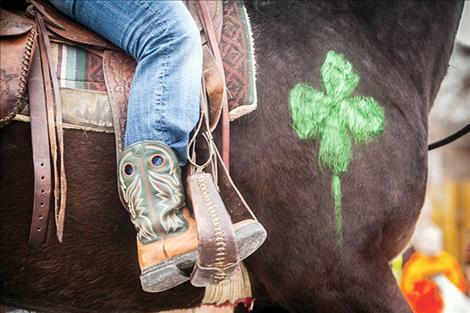 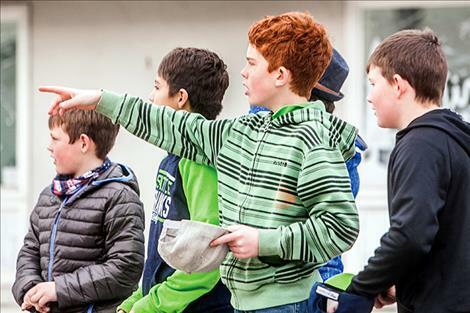 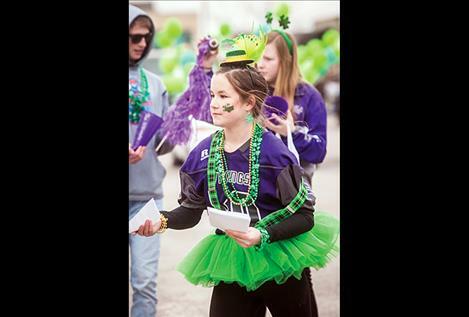 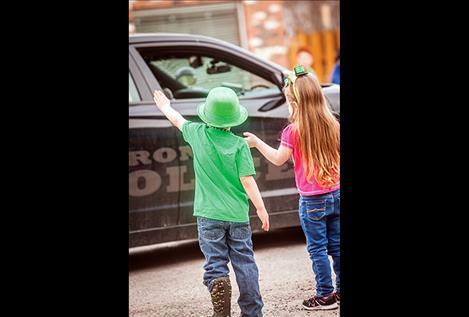 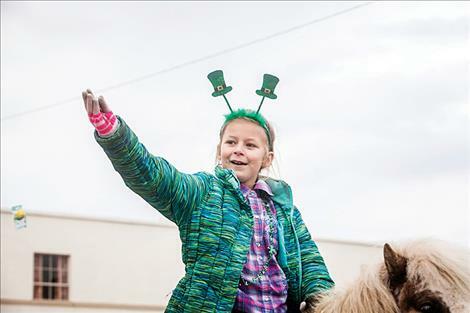 RONAN — The Ronan Irish Community, TRIC, once again would like to thank all the St. Patrick’s Day Parade participants, judges, and spectators who braved the cold weather to attend the 29th year of this event. 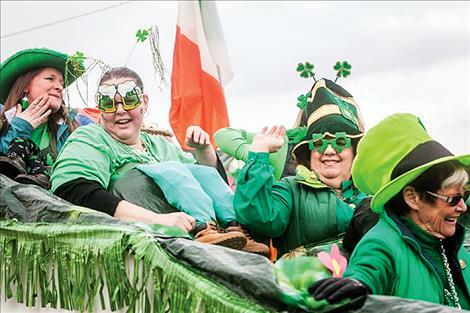 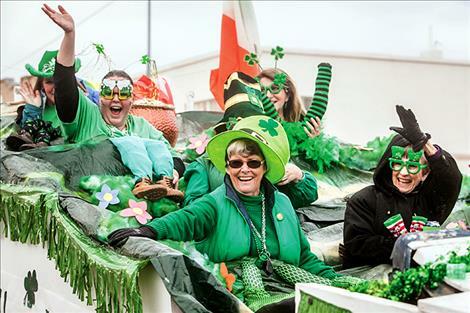 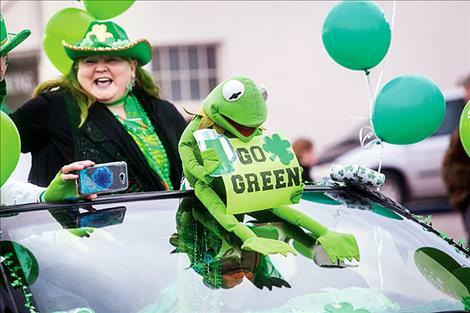 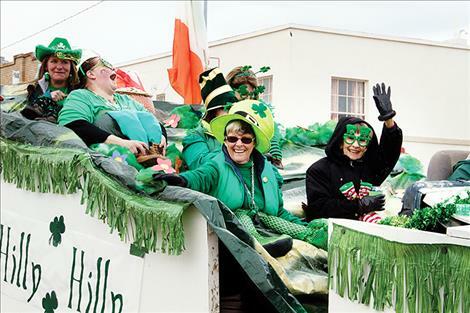 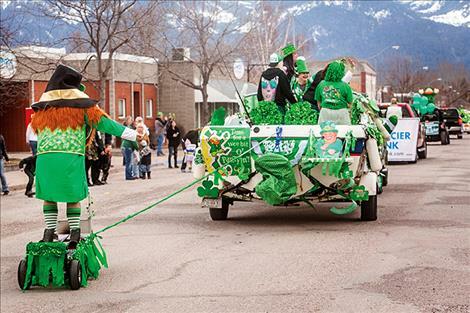 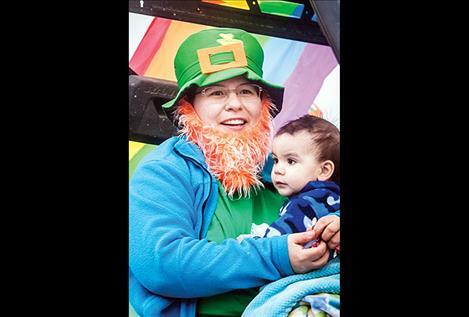 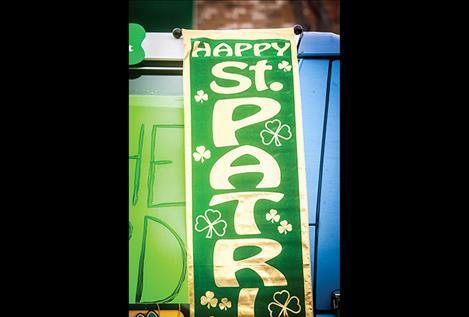 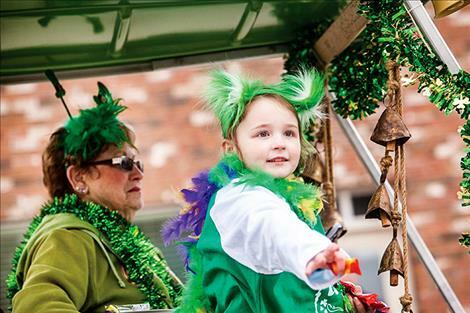 The winners in this year’s parade are as follows: Best Kids’ Float – 4-H Club; Most Irish Animal – Templers green horses; Best Walkers – Tie Shakira Burrafato and burro and Honor Guard; Best 1st Timer – Don Bell; Most Irish – O’Leary’s Old Ladies Hilly Hilly; Most Likely to Spend the Night in Jail – Don Bell; and walking away with the majority of the categories was — The Bird aka The Pheasant, winning the Most Likely to Cause a Riot, Greenest, Best Irish Attire, Most Shamrocks, and Best (Overall Winner) Float.